Schrader is one of the leading manufacturers of Toilet Service Units and Water Service Units. Our quality for your success! This is our philosophy on which our group of companies is based. The innovative design of the Schrader Ground Service Equipment we fulfil all qualifications respectively to all standards and customer’s wishes. With about 180 employees in two production plants in Germany as well as our subsidiary company in Romania, Schrader comply with the highest quality standards. 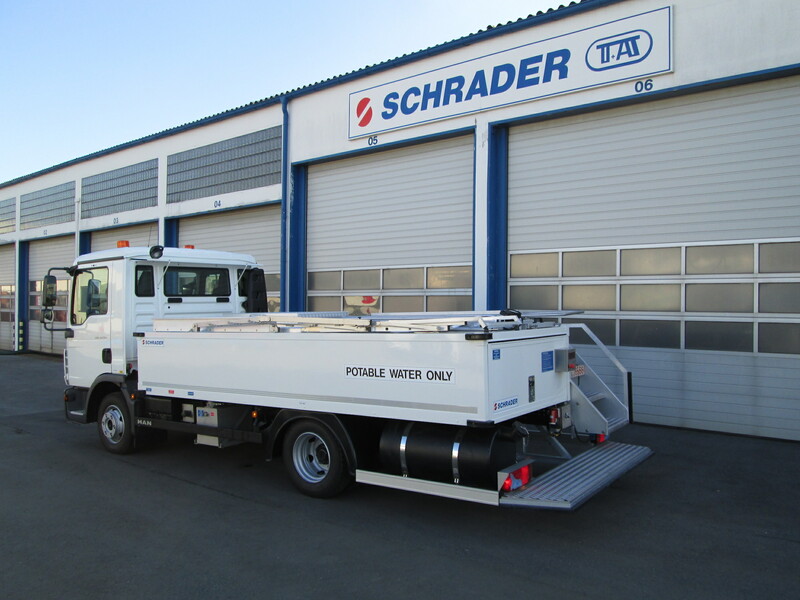 Global networking and worldwide references, makes Schrader Company to a strong partner in the ground service equipment sector. To find out more visit Schrader-T+A-Fahrzeugbau GmbH & Co. KG at inter airport Europe 2017 in Munich – Outdoor Area, Stand C68.